AFP editor Chris Graham reviews WrestleMania 33 on Facebook Live. Chris Graham joins The Mark Moses Show on SportsRadio 1560-The Fan in Melbourne, Fla., to talk Final Four and WrestleMania 33. How to make sense of that which seems to make no sense, namely, emotions over a basketball team losing a big game? London Perrantes connected from three with 9:32 to go to put UVA up 15. Writers were thinking up ledes about how Cavs fans were about to party like it was 1984. Top seed UVA led by 14 at the half, 16 early in the second half and 15 with 9:32 to go, but a 25-4 Syracuse run turned the game around and lifted the Orange to a 68-62 win in the Midwest Regional final Sunday night in Chicago. Join Augusta Free Press editor Chris Graham on our live blog as #1 seed Virginia (29-7) faces #10 seed Syracuse (22-13) in the Midwest Regional final Sunday night. UVA played Syracuse more than two months ago. The world was a different place then. For starters, the starters: Jack Salt. The folks at The Charity Bracket will donate $50,000 to the Waynesboro YMCA if you have the best score at the end of the tournament. 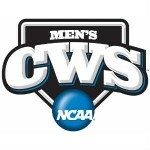 Augusta Free Press editor Chris Graham joins host Jim Bresnahan on WREL-1450AM in Lexington to wrap the 2015 Final Four, look ahead to the 2015-2016 college basketball season, then shifts gears to talk about Opening Day in Major League baseball with a focus on the Washington Nationals and Baltimore Orioles. Wisconsin had a huge night on offense: You don’t notice it right away, because the final score was just 71-64, but the Badgers were two next levels ahead of every other Kentucky opponent this season on offense. AFP editor Chris Graham joins host Jim Bresnahan on WREL-1450 in Lexington, Va., to talk about Indiana’s religious freedom bill and preview the upcoming weekend in sports. 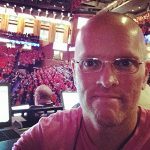 CGI host Chris Graham talks UVA basketball, Final Four, Virginia politics and more on today’s podcast. Augusta Free Press editor Chris Graham joins host Jim Bresnahan on WREL-1450AM in Lexington. The segment includes a discussion of the news that VMI basketball coach Duggar Baucom is leaving the school to coach at The Citadel. What does this mean for VMI going forward? Notre Dame laid out a nice blueprint for Kentucky’s next two opponents: Spread the floor, have post players on the move, stay in front on defense, limit turnovers, and it’s doable. Kentucky had to go 9-for-9 from the floor in the final 12 minutes to pull out a two-point win against a small, thin Notre Dame team. This was truly David vs. Goliath. Goliath executed better late. Augusta Free Press editor Chris Graham joins host Jim Bresnahan on WREL-1450AM in Lexington, Va., to talk sports, with a focus this week on getting an early look at the four-team college football playoff. William and Mary head men’s basketball coach Tony Shaver announced the addition of Bluefield College to round out the Tribe’s 14-game home slate for the 2014-15 season. 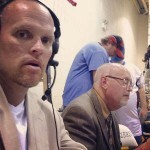 Augusta Free Press editor Chris Graham joins host Jim Bresnahan on WREL-1450AM in Lexington, Va., to talk Virginia sports. Going into Game 3 of the 2014 College World Series Finals, the series tied at one game apiece, UVA coach Brian O’Connor knew how he wanted the game to go and how in his perfect world he wanted it to end. Chris Graham: UVA the favorite in the College World Series? As the top national seed remaining, it would be hard to argue UVA not being the favorite to win the 2014 College World Series. Now for the reality check: there’s a lot of baseball still to be played, and a lot of good baseball teams to play them. 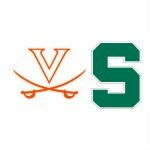 The sixth-seeded Virginia women’s lacrosse team (12-9) was eliminated in the semifinals of the 2014 NCAA Women’s Lacrosse National Championships with a 16-8 loss to second-seeded Syracuse (21-2) on Friday (May 23) at Johnny Unitas Stadium in Towson, Maryland. The sixth-seeded Virginia women’s lacrosse team (12-8) faces second-seeded Syracuse (20-2) on Friday, May 23 at 5 p.m. in the semifinals of the 2014 NCAA Women’s Lacrosse National Championships at Johnny Unitas Stadium in Towson, Maryland. The fourth-ranked Virginia men’s tennis team had its 2014 season come to an end Monday with a 5-1 loss to top-ranked USC in a NCAA semifinal match at the Dan Magill Tennis Complex. The fourth-ranked Virginia men’s tennis team advanced to the semifinals of the 2014 NCAA Tournament with a 4-0 victory over No. 5 Baylor Sunday afternoon at the Ken Byers Tennis Center on the campus of Georgia Tech. A 6-0 second-half scoring run propelled the sixth-seeded UVa. women’s lacrosse team (12-8) to a 10-9 upset victory over third-seeded North Carolina (15-5) in the quarterfinals of the 2014 NCAA Women’s Lacrosse Championship on Saturday (May 17) in Chapel Hill, North Carolina. #1 East Regional seed UVa. is on its way to the World’s Most Famous Arena, Madison Square Garden in New York City, and Augusta Free Press will be at the mecca of basketball to follow the ‘Hoos in their Sweet 16 matchup with #4 seed Michigan State. UVa. basketball coach Tony Bennett and seniors Joe Harris and Akil Mitchell talk with the media in Madison Square Garden on the eve of the Cavs’ Sweet 16 game with Michigan State Friday night. No. 1 seed UVa. (30-6) will play No. 4 seed Michigan State (28-8) in the semifinals of the East Region on Friday, March 28 at Madison Square Garden in New York. Tipoff is set for approximately 9:57 p.m. ET and the game will be televised on TBS. Video: Can UVa. make it all the way to Texas? 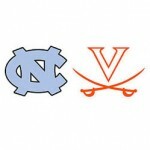 Mike Gminski joins ACC Digital Network host Jeff Fischel to preview UVa.’s chances in the upcoming NCAA Tournament. Are the Cavaliers big enough to make the Final Four? Are the Hoos better than the other teams in the East? Will they bring home the bacon? Find out in our Wright Brand Bacon Road to Texas. ACC champion UVa. (28-6), making its 18th NCAA Tournament appearance, is the No. 1 seed in the East Region. The Cavaliers will face No. 16 seed Coastal Carolina (21-12) in an NCAA Tournament second-round game played in Raleigh, N.C., at PNC Arena on Friday, March 21. NC State won 21 games, beat Syracuse once, maybe should have beaten the Orange twice, beat Tennessee, but yet the Wolfpack looks to be on the outside looking in as far as the NCAA Tournament is concerned. Duke coach Mike Krzyzewski thinks this is ridiculous, for what it’s worth. Oh, so close: Can NC State knock off Syracuse? This was back when Syracuse was still undefeated and apparently undefeatable, though increasingly vulnerable. NC State led the Orange by one in the final seconds in the Carrier Dome, and then couldn’t get the ball in bounds. 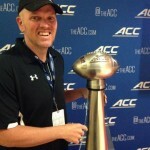 Chris Graham: How good is UVa. basketball? UVa. basketball should pretty easily re-enter the Top 25 from AP and the coaches this week after being out since Week 2 following the November loss at home to VCU. Former Virginia head coach and director of athletics Terry Holland is the Cavaliers’ 2014 ACC Men’s Basketball Tournament Legend, announced Wednesday (Jan. 29) by ACC Commissioner John Swofford. It was as good a time as any to look at the RPI ratings. Going into Monday’s game at Tennessee, Virginia was a decent, if middling, 51st overall, sandwiched between VCU and Mercer. An RPI rating of 51 doesn’t guarantee you an NCAA bid, but you’re close, and if you’re UVa., you’ve got the whole ACC season to build on what was going into Monday night already the 44th-toughest schedule in the country. Let’s face it. VCU is the heavyweight college basketball program in the state of Virginia, and has been for some time. There was a time, maybe about 15 years ago, that Virginia was the big boy in the Commonwealth, but that was before Pete Gillen, before Dave Leitao, long before Tony Bennett. Is UVa. ready for #14 VCU? The short answer: Yes, #25 UVa. is ready for #14 VCU, with the Rams coming to town Tuesday night for a hellacious early-season non-conference matchup. The ‘Hoos are three-point favorites, basically pick ‘em on a neutral court. 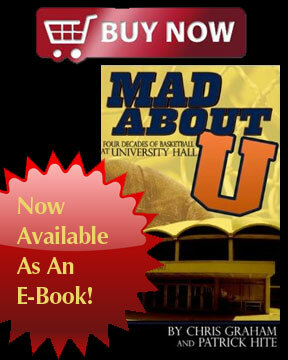 Which is a sign that Virginia basketball has come a long way. Make no bones about it. Mike London is not on any hot seat at UVa., despite his team’s 2-3 start. The AFP on WREL: Finality? 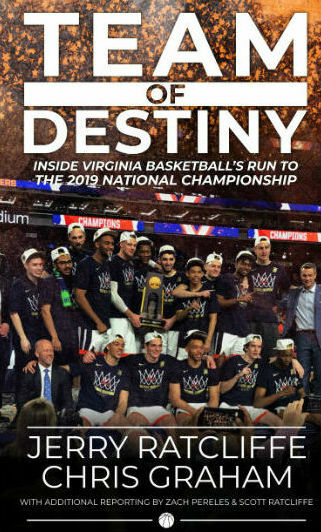 AFP editor Chris Graham talks Virginia sports with WREL-1450AM’s “Online with Jim Bresnahan.” The segment begins, naturally, with an examination of the improbable run of Virginia Commonwealth to the Final Four. It’s not a fluke, says Chris, citing data on how VCU has improved markedly in defensive efficiency and shooting from the field.